Gathering Grimm is the latest play written by John Dilworth Newman. It had its world premiere at the Noorda Theatre Summer Camp at Utah Valley University in June 2013. The current script calls for a cast of 16 young women and 6 young men, with all characters based on historical individuals involved in the gathering of the original Grimm tales. The play centers on Lottie Grimm, the sister of Jakob and Wilhelm and their three younger brothers. Lottie refuses to help her brothers compile their collection until they acknowledge the source of the tales: middle class schoolgirls. The script includes dramatizations of seven of the Grimm tales and runs about an hour. Lottie Grimm confronts her brothers about recognizing the young women who told them the early tales. 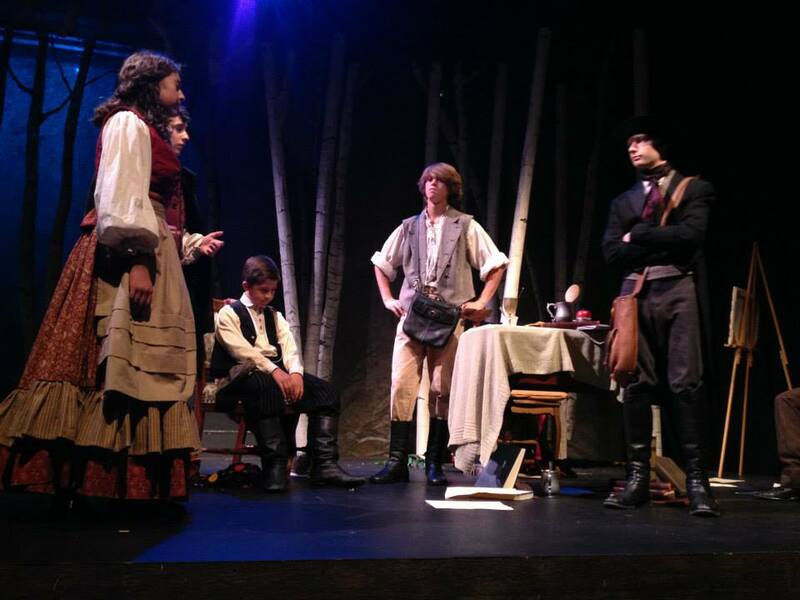 You can see a video of a performance of the play at UVU on YouTube by entering the search words, “Gathering Grimm.” The playwright is offering the script royalty free to interested schools during the 2013-2014 season.